Thank you to Lord Balfe for doing the honours, and all the guests that dropped in to meet the team. NNEdPro is looking towards contributing to and engaging with the innovative and collaborative community at St. John’s Innovation Centre and other organisations in Cambridge in education, research, advocacy related to nutrition (and related) aspects of health and healthcare systems. Cambridge has a special place in NNEdPro’s heart, being it’s hub and home since inception. Cambridge enabled the organisation to grow its’ foundations as a think-tank including bringing nutrition into the Cambridge University medical curriculum and establishing the Nutrition Education Review / Research Interest Group (NERG). It has also been the home from where NNEdPro has built its’ innovative training academy including the Summer School in Applied Human Nutrition and the International Summit on Medical Nutrition Education and Research. NNEdPro recently launched the pilot phase of the International Academy of Nutrition Educators – a membership scheme in partnership with the Society of Nutrition Education and Behaviour (SNEB) and Monash University. 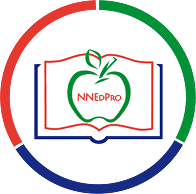 From SJIC, NNEdPro will be providing bespoke consulting and will also be widening the scope of trainings in nutrition education. Contact us: info@nnedpro.org.uk or drop in to the office at: St John’s Innovation Centre, Cowley Road, Cambridge, CB4 0WS, UK – our doors are open!